A complete guide to building web applications using Java Servlets and JavaServer Pages. 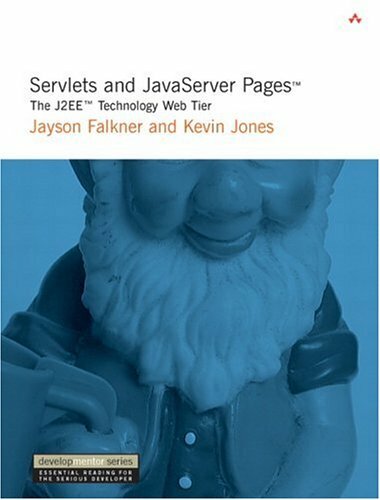 The book covers the basics including installing a JSP/Servlet environment on your computer, HTTP, HTML forms, JSP 2.0, Servlets 2.4, custom tag libraries, and the JSTL 1.0. The book also covers the most complex topics of error handling, design patterns, internationalization and multi-lingual sites, security, sessions and state management, database connectivity, and building sites that can produce multiformats of content on the fly. This book explains how to create applications using the Servlet and JSP specifications that are robust, performant and scaleable. by Bruce Eckel et. al. - MindView, Inc. The goal of J2EE is to create a set of tools that allows the Java developer to build server-based applications more quickly than before, and in a platform-independent way. This book assumes you have read and understood most of Thinking in Java. Ideal for any programmer working with server-side Java, the book provides an up-to-the-minute guide to the latest in essential APIs for creating state-of-the-art Web applications. This tutorial gives you exactly what you need to use Java effectively.